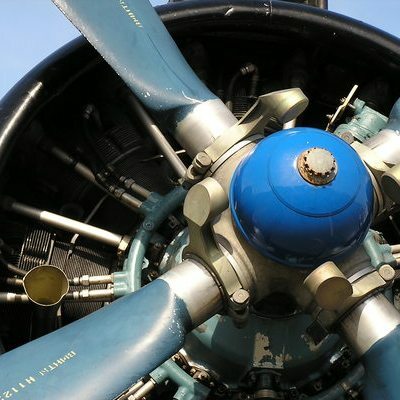 Aeronautical Engineering is a branch of engineering which deals with the design, development, testing, and production of aircraft and related systems. Of late, the term aeronautical engineering is largely replaced by the term Aerospace Engineering, which also includes dealing with spacecrafts, missiles, rocket-propulsion systems, and other equipment operating beyond the earth’s atmosphere, in addition to those mentioned earlier. In the strictest sense, an Aeronautical Engineer works within the earth’s atmosphere, whereas an Aerospace engineer works beyond it. Aeronautical engineering is an attractive career in Australia. More so, if your profession is in accordance with the Australian and New Zealand Standard Classification of Occupations (ANZSCO) 2339-11. Aeronautical engineering is also listed on the Skilled Occupation List (SOL) and the Consolidated Sponsored Occupations List (CSOL) here. As we can see from the above lists, the job of an aeronautical engineer is highly specialised in nature and it requires a lot of skill and knowledge to succeed in this field. In addition to the technical qualifications, one should also possess certain personality attributes like passion, ability to think on one’s feet and a willingness to learn continuously. The physical requirements of the job include an able body with normal vision and complete use of hands/fingers. Choosing aeronautical engineering as a career would mean that you would be engaged in delivering a wide range of services related to the field, which would include functions like aircraft design, analysis, testing, and airworthiness approval. In short, you would perform all such activities concerned with the design, development, manufacture, maintenance and modification of aircraft for flight. However, it is important that you attain technical education if you wish to be an aeronautical engineer. There are several universities / colleges offering engineering degree programs at bachelors (under- graduate), masters (graduate) and PhD levels. Aerospace Engineering diplomas, certification and degree can help you pursue a career in Aeronautical engineering in Australia. Institutions like the University of Sydney, University of New South Wales, Australian Defence Force Academy (ADFA), Queensland University of Technology, University of Queensland, University of Adelaide, Monash University and the Royal Melbourne Institute of Technology are some of the well- known colleges/universities offering Undergraduate BS BE, Graduate MS and PhD programmes in Aerospace Engineering in Australia. Enrolling for an aeronautical engineering course from any of these colleges is the first step in your journey towards a career in aeronautical engineering. Upon successful completion of the course, you can go ahead and build your career as a successful aeronautical engineer in Australia. You can either choose to be a part of the armed forces or else opt for a civilian job with any of the aeronautical companies engaged in the business of commercial flying and other related services.